Just a year ago, ethanol was the renewable fuel of the moment. Derived mostly from corn grown in America’s heartland, ethanol was promoted as a home-grown ticket to energy independence for the U.S. and other oil-importing nations. It played a feature role in the Energy Independence and Security Act (EISA) of 2007, passed by the U.S. Congress in December, which called for a five-fold increase in ethanol production by 2022 and provided tax incentives and grants to ethanol producers. Today, however, ethanol’s prospects look somewhat cloudy. Critics around the world are crying foul over rising food prices. Others contend that it takes more resources to create ethanol than the alternative fuel provides. According to experts at Wharton and elsewhere, ethanol underscores the hazards involved in the development of any new energy source, where failure to understand the broader impact of production can result in unintended consequences. Anyone who ever drank grain alcohol at a college fraternity party is familiar with ethanol. It is derived from the fermentation of starches in organic matter; corn starch, found only in corn kernels, is the most popular source in the domestic ethanol industry today. But other so-called second generation ethanol sources are gaining favor as new technologies ease their fermentation process. Of the 36 billion gallons of ethanol mandated in EISA by 2022, 21 billion would come from those second generation sources, such as corn stalks, switchgrass (a tall grass native to the North American prairie) and even garbage. In the farm bill that Congress approved over President Bush’s veto this month, the subsidy for production of corn-based ethanol was rolled back to 41 cents a gallon, and a new tax credit of $1.01 per gallon was instituted for producers of ethanol derived from second generation sources. Not everyone agrees that demand for corn-based ethanol is the key driver of global price increases for food. “Food prices are high for a couple of reasons,” says Matthew White, a business and public policy professor at Wharton. “Government subsidies for growing corn for ethanol is just one.” He and many other economists say most of the blame likely goes to the surge in demand from the newly powerful economies of India and China, and to skyrocketing energy prices. Still, a flurry of recent reports concluded that the new demand for ethanol is at least partly to blame. A World Bank study estimated that corn prices “rose by over 60% from 2005-07, largely because of the U.S. ethanol program” combined with market forces. The International Monetary Fund estimated recently that the shift of crops out of the food supply to produce biofuels accounted for almost half the recent increases in global food prices. The IMF estimates that global food prices rose 43% in the 12 months ending in March 2008. Ulrich says he sees far more promise in the second generation ethanol sources. More consequences may be on the horizon. “One question that I have not seen discussed in the media is what ethanol is doing to the supply of water,” says Wharton management professor Witold J. Henisz, who is working with the World Economic Forum’s Global Risk Network to assess the impact. According to a 2007 study at Arizona State University, a gallon of corn-based ethanol requires 785 gallons of water just to irrigate the corn. By comparison, a gallon of gasoline uses 2 to 2.5 gallons of water in its refining process. Gasoline’s water use does not include water pumped into oil wells to make the oil easier to pump as the well runs dry. 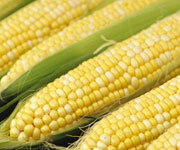 “The demand on water supplies for corn is frightening,” says Henisz. Unintended consequences lurk at every stage in the development of new energy sources. And that’s a good reason for the government not to be focused on one particular alternative energy source, says White. Another strategy that might have been superior to subsidies is a national renewable energy portfolio standard (RPS), requiring electric utilities to get a minimum portion of the energy they sell from renewable sources, according to Daniel M. Kammen, a professor of energy at the Goldman School of Public Policy in the University of California, Berkeley. That strategy had been part of EISA, but was discarded in the final version. Ethanol’s supporters also point to a study by the University of California at Berkeley that found that ethanol can generate higher energy content than petroleum while producing 10% to 15% fewer greenhouse gas emissions. A significant pullback from EISA’s incentives and mandates — especially if the alternative is the imposition of new carbon taxes — is unlikely given their popularity among Midwestern agricultural and ethanol production interests, and the aversion to new taxes at the White House and in Congress.